This is a sponsored article and was made possible by pCloud. The actual contents and opinions are the sole views of the author, who maintains editorial independence, even when a post is sponsored. 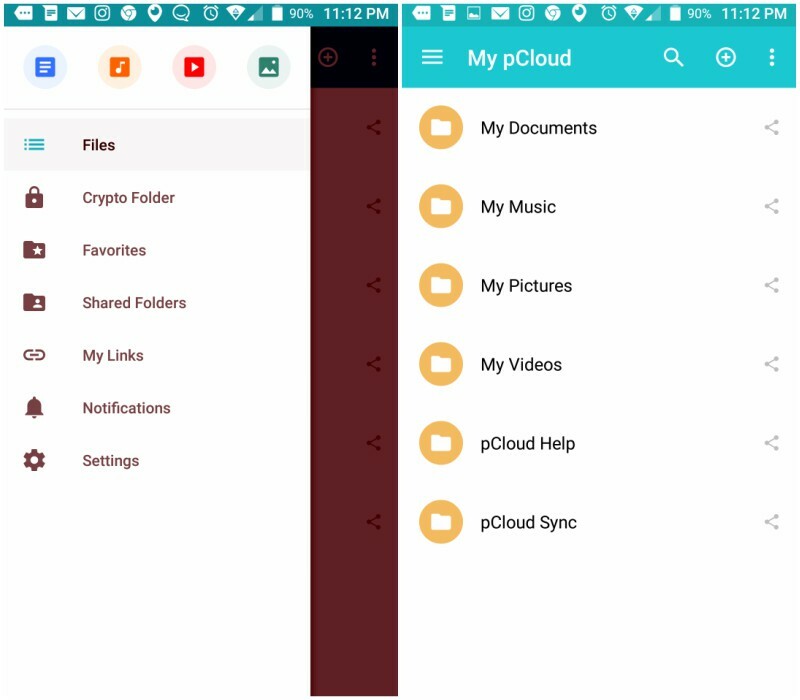 pCloud Drive is a cross-platform personal cloud storage service that can be accessed via any Web browser on your desktop (Windows, Mac, Linux) and on your mobile device (Android, iOS). 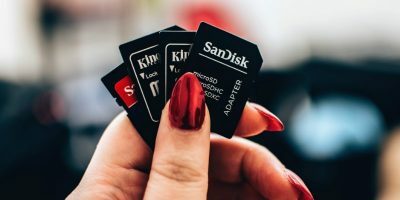 It uses the industry standard 4096-bit RSA for users’ private keys and 256-bit AES for per-file and per-folder keys; they also use TLS/SSL encryption whenever information is transferred from your device to their servers. 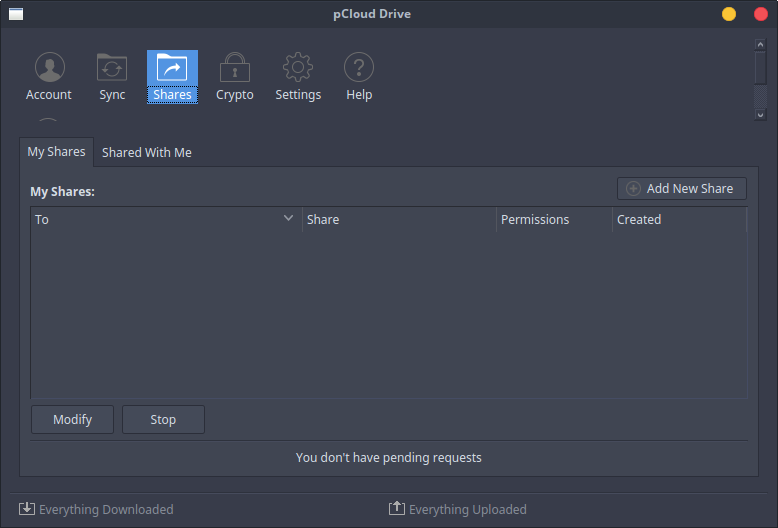 Much like other popular cloud storage services, pCloud Drive lets you send large files via a download link as well as receive files in your cloud storage space using upload links. 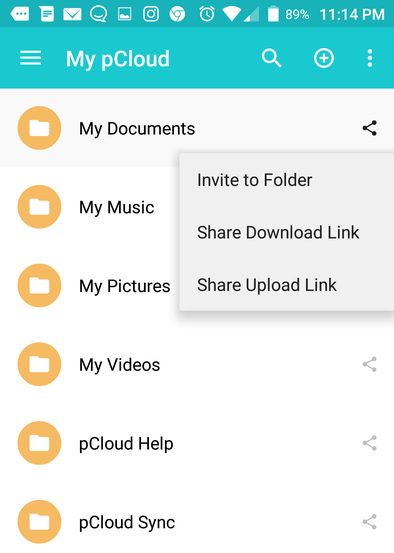 You can also share your folders with others as needed and give various types of access permissions. At any time you can see who you’re sharing with and who’s sharing with you via the “Shares” tab on the desktop client or via “Shared Folders” on the mobile app. Here’s a closer look at pCloud Drive and how it works on the desktop and on mobile devices. For this review, I’m using the Linux desktop client. Installing pCloud Drive on my Xubuntu install was very easy. I downloaded the .deb package and installed via GDebi. 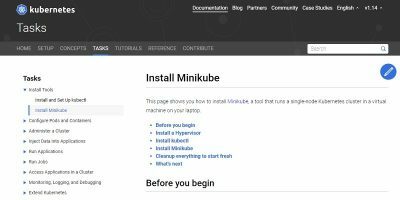 The process is as simple as 1-2-3; there’s even a guide for each OS on their website to help you out (not that it’s really needed). If you have already created an account via the website, you can simply sign in on the desktop client. You’ll then go through a short introduction and finally be able to access your drive. You should see the icon on the panel (taskbar on Windows or menubar on Mac). 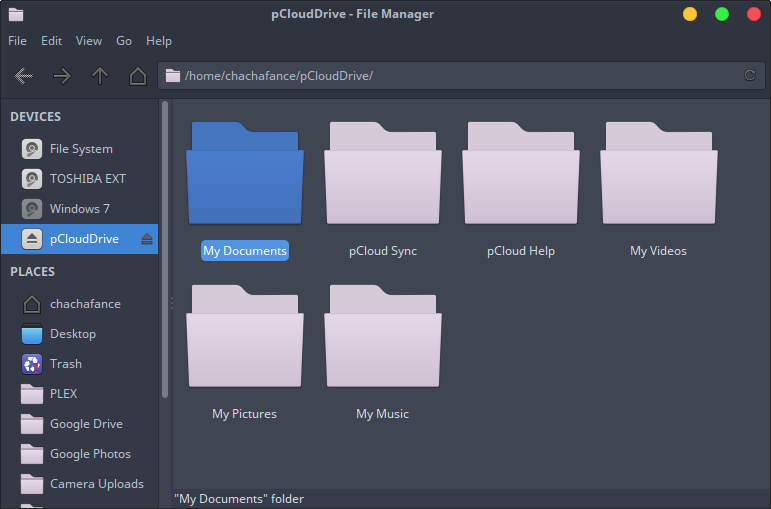 Right-clicking on the icon will bring up the pCloud Drive menu; you can also open your drive by left-clicking on the icon. In Settings you can customize the upload speed limit, download speed limit, disk usage, and enable or disable LAN sync. pCloud Drive can use p2p (peer to peer) to speed up synchronization, but you can disable this if you’d like. After installing pCloud Drive, it shows up like an actual hard drive mounted on your computer as opposed to a folder (like Dropbox); it doesn’t use up any actual space on your hard drive. Inside the drive you’ll see five folders: pCloud Sync, pCloud Help, My Videos, My Pictures, and My Music. Inside the Help folder there is a quick start guide. Inside My Videos, My Pictures, and My Music there are some sample media files. Adding your own files to the folders is as easy as drag-and-drop or copy/cut and paste. 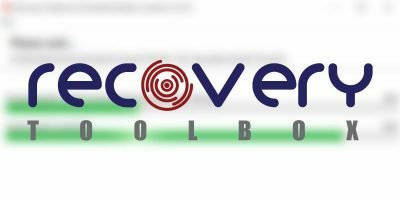 Using pCloud Drive on the desktop is much like using the Home Directory on your computer. It uses folders to easily organize your media in the cloud. If you’re not happy with the folders there, you can remove them and add more folders if needed. There is also a sync feature that allows you to sync specific folders between your computer and your pCloud Drive. 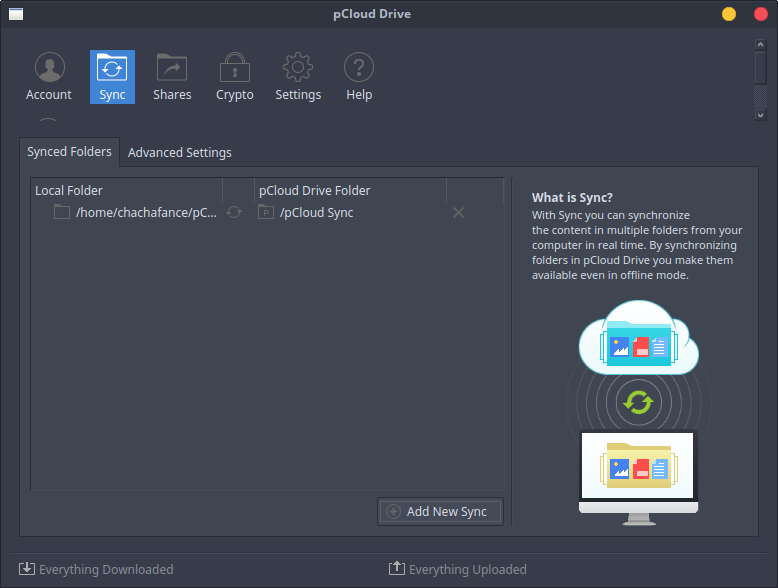 By default, pCloud Drive will only sync the pCloud Sync folder. However, you can add more folders if desired. 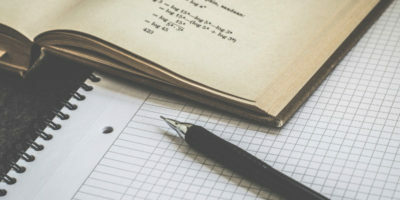 These synced folders are also available offline and will be automatically updated once reconnected to the Internet. For this review, I’m using the Android app. Both the Android and iOS apps can be downloaded from their respective app stores. Again, setup is very easy and self-explanatory; once you sign into your account, you’re ready to go. In Settings you can enable device password protection (to block unauthorized access to your files), change your account password, change the language (there are ten other supported languages besides English), enable the use of mobile data, enable automatic upload (for your device images and videos), display system files, clear cache, and force resync. The mobile app (at least, Android) works much like the desktop client and has a neat, user-friendly interface. All of your folders are found under the “Files” section. 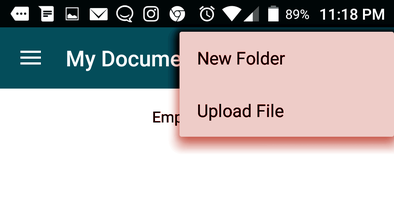 From here you can add folders and upload files by browsing your device. 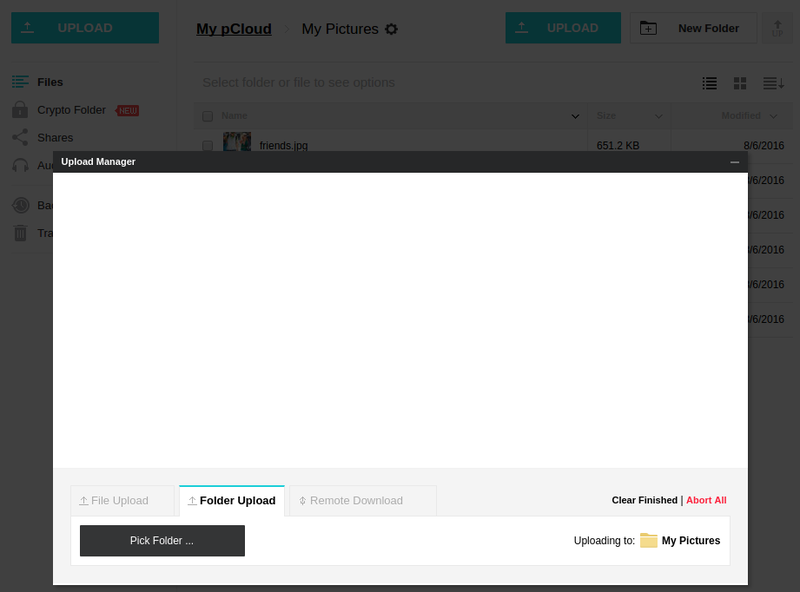 There’s also a “Take a picture” option so that it’s automatically saved to pCloud Drive after capturing. If you happen to upload music files, you can use the built-in music player to listen to them. Additionally, there’s a “Favorites” section where you can mark files as favorites (tap the star icon) so that you can access them offline. There’s also a “My Links” section where you can access any download and upload links that you create for any folder. I love that you can search through files using the search bar. This is sure to come in handy and save time, especially once you have a large amount of items in your storage. 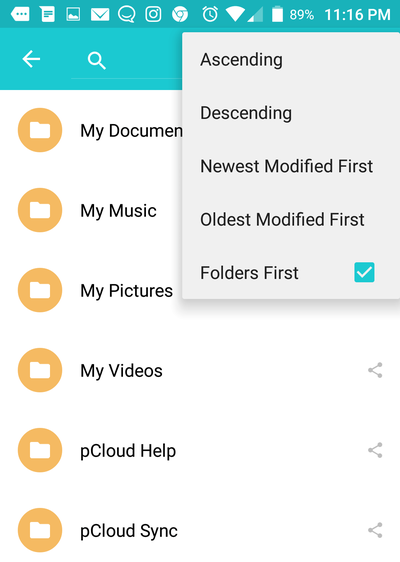 The sorting options are also convenient; you can sort files by ascending, descending, newest modified, or oldest modified. 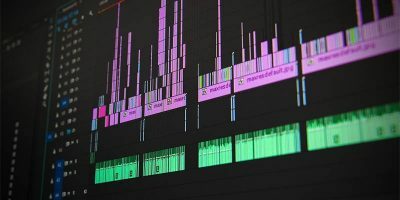 Remote Uploading – You can upload both files (from any browser) and folders (only possible via Chrome) via the Web version. Just browse to the location where you want to upload to (e.g. My Pictures), and then click on “Upload.” You’ll be able to choose a file or entire folders from your computer. Remote Downloading – There’s also a “Remote Download” option (see above image) that allows you to paste any file’s URL and upload it directly to your pCloud account. Just choose a file, copy its URL, and paste it into the link box to upload. 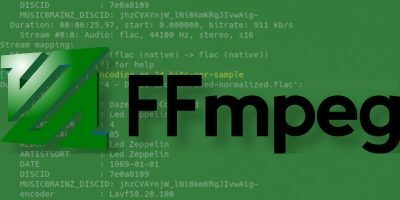 File Versioning – Want to find an older version of a file? No problem! pCloud Drive has a file history feature which allows you to access “File Revisions.” File versions are kept for 30 days for free accounts, 90 days for Premium accounts, and 180 days for Premium Plus accounts. pCloud Crypto – Encrypt your sensitive files (using client-side encryption) on any device and make them invisible to others. This is done by adding files to a special pCloud Crypto folder. You can get a 14-day free trial after which the cost is just $3.99/month. They’re also working on various plugins for other platforms. Although they mention a WordPress plugin on their website, the only one I can find hasn’t been updated in almost three years and has a one-star rating. Hopefully, they’re working on a newer version. I haven’t found anything I don’t like about pCloud Drive. It’s very easy to use, runs smoothly, and has some unique features. 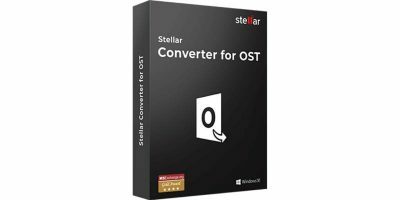 I feel like it’s in the same league as Dropbox and OnDrive. I love the addition of pCloud Crypto, which is something Dropbox doesn’t do natively and instead relies on third-party tools. Being able to back up files from popular services like Facebook and Instagram is also a very nice bonus. 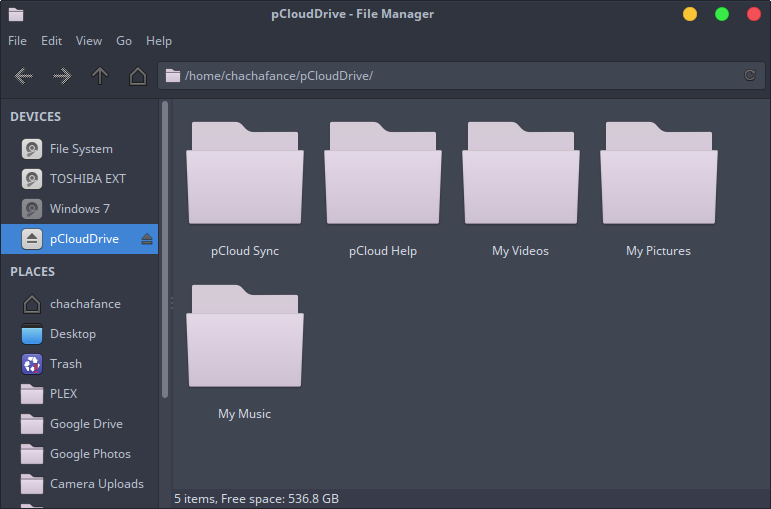 If you’re looking for other options or just want an additional place to store and/or back up files, you should definitely give pCloud Drive a try. Thanks to pCloud, we have 5 three-month Premium accounts to give away; you will have 500 GB of storage for three months after which you can renew, upgrade to Premium Plus, or downgrade to the free plan. To participate in this giveaway, all you need to do is connect with your email (so we can contact you if you are the winner). This will earn you a single chance. You can also share this article to earn additional chances of winning a unit. This giveaway contest has ended.